The Corvus Cluster will be hosting two events at the Historicon convention in Lancaster, Pa., July 10-14. To learn more about these events, click here or visit Upcoming Events at the top of the page. A link to the Historicon website. The Corvus Cluster will be hosting eight narrative 40K events at Shorehammer 2019 in Ocean City, Md., Nov. 21-24. For information, look under Upcoming Events at the top of the main page or click here. A blog entry about the events that will be offered. A link to the Shorehammer convention. Send us an email and share your 40K thoughts at: thecorvuscluster @gmail.com. One of the main reasons I play miniature wargames over board wargames is the visual spectacle. I also have a strong creative streak hard-wired in my brain so building visually appealing games (and displaying them at conventions) is a large part of the hobby for me. Say what you will about Games Workshop, they have done a tremendous job in marketing their product and encouraging and emphasizing the visual aspect of wargaming. Our club uses home rules for a lot of games since we want to be finished in about 2 to 3 hours per battle on our 5′ x 7′ table and 40k has become very attractive because it is designed to be played in about that amount of time.But with a 400-plus page rule book, there is a lot to learn and the new player may take certain things for granted. For example, we normally play on a 5′ x 7′ table but WH40k is specifically designed to be played on a 4′ x 6′ table. 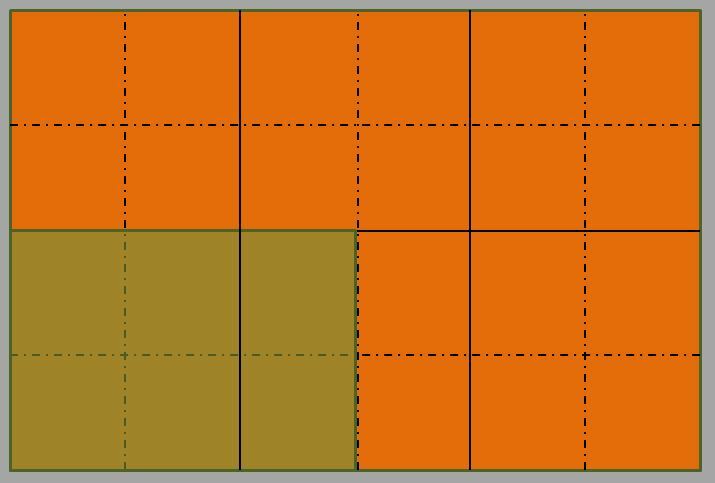 Though this difference in board size may not seem to be a big deal, if we play on the 5′ x 7′, a more mobile army will have a slight edge in being able to cover that extra distance and will also have a little more room to work around a flank. The sixth edition is a huge tome, so it takes actual study supplemented with google searches and forum posts to get a clear understanding of some rules. The amount and type of terrain to be used in a game is another very important factor in setting up a fair and balanced game. Though there is no Standard terrain per se, there are certain standards built into the design of the game. The first of which is the 25% rule. The 6th edition talks about terrain density limits (page 120) but does not mention this particular standard which was mentioned in the 5th edition on page 88. The game is intended to be played with about 25% of the area covered in some sort of terrain, usually 12″ x 12″ sections. This gives assault army players enough decision and planing points to get in close by utlilzing cover and concealment and at the same time gives the shooty army player clear lines of sight to channel troops through choke points taking several shots before an assault unit closes in. If you clustered all the terrain together next to each other in one corner of the board, it should add up to about a 2′ x 3′ area. Therefore, we are looking at six 12″ x 12″ sections of terrain for our collection. These do not all have to be a foot square. They can be four 6″ x 6″ pieces; or two 6″ x 6″ and one 12″ x 6″ piece, spread out over a 2′ x 2′ section of the board. These numbers are approximate, but you get the idea. In a game with too much terrain, an orky army will have an easier time getting in close, while too little terrain may give an Imperial Guard army lots of opportunities to lay down fire. Either situation could give somebody an unfair advantage (all else equal). On the other hand, the 5th edition states this standard is a “recommendation” so players are free to make adjustments. For the math whizzes, a factor to provide extra troops to compensate one side or the other could be a fun alternative, or a better player could accept the challenge as a handicap to see how good he really is! Next up: Types of Terrain ! This blog is a record of an ongoing, interactive narrative-based campaign set in Games Workshop's Warhammer 40,000 universe. Over the course of the campaign, participants will fight battles that are incorporated into the "history" of the Corvus Cluster, a sector of the Ultima Segmentum region of the Milky Way galaxy. Background information, biographies, photos, and other "historical" data are available in the Categories section. Please visit the Campaign Info link for more about the campaign and how you might participate.